Story And Photograph By Ross Macpherson On The Recent Trans Tasman Airwomen's Gathering. Coverage Of Singapore's Window On The Aviation Industry. Part 3 - Compiled By Janic Geelen. 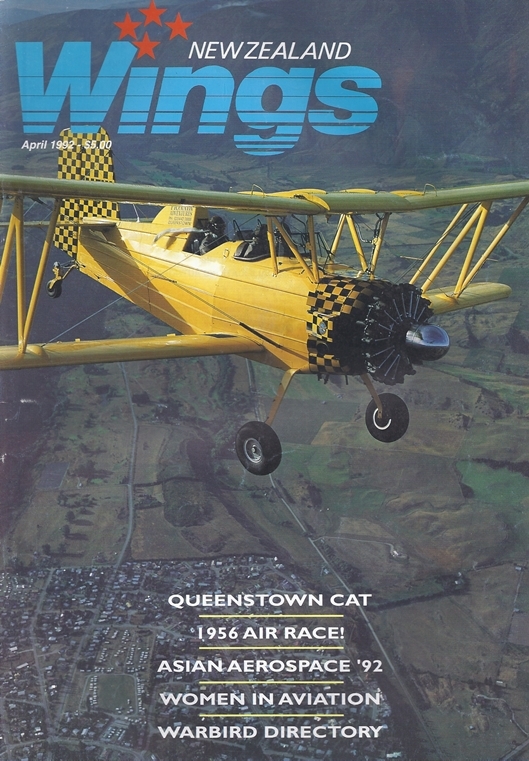 Paul Beauchamp Legg Relives The 1956 Southland Centennial Air Race. Photographic Coverage By Don Furness. Change Of Plumage - NZ2415/Zk-Taf Sports A Bright Yellow Coat To Carry Out Filming Duties. Trevor Bland Makes A Low Pass For RNZAF Photographer Flt Sgt Michael Provost. Rnazf Official.